It’s the days and things you least expect that bring you greater discovery than you could imagine. For the past 3 years, I have been a regular at Strathmore University, mainly to attend meetings and execute the World Youth Alliance Africa Emerging Leaders Conference. However, a few months ago I also made the humble decision to join one of their evening programs and now I became a ‘mwenyeji’, Swahili for resident. I am on campus quite often and mostly use the footpath entrance where every day I pass by an area that has large board like structures that look like humongous dart boards. I would from time to time see a few people but most times if I remember well they would mostly be covered. Two days ago I saw a lady seated in this area and I wondered what she was doing, I ignored the urge to speak to her and went on to my class. However within less than a week, I saw her again and I had no excuse not to speak to her, my class was canceled unexpectedly and I had a few minutes to spare as I headed to the library. It was evident to me that it was time to connect and unknown to me I was about to have a lesson in Archery, a little known sport in Kenya yet one which Kuki, the lady I had finally taken time to talk to, has been part of for the past 16 & 1/2 years since 2002. 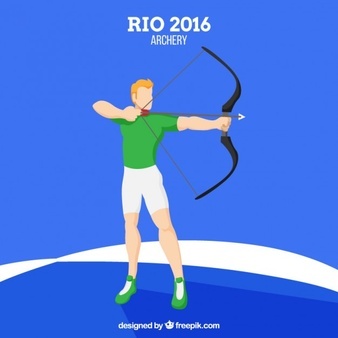 It’s a sport that makes use of the upper body, it requires one to be calm and focused as opposed to most sports and one needs at a basic level one to have a good bow and at least 6 arrows. Kuki’s real name is Shehzana. 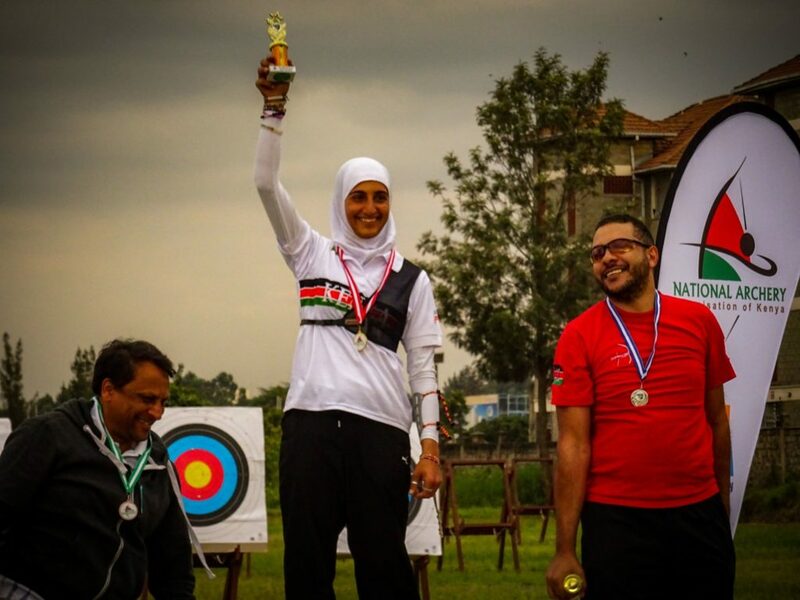 Anwar, she is a renown archer in Kenya and has been able to compete in the Olympics in Rio in 2016. She has been featured in international sports news, this is in addition to holding the title for Africa. I was immediately intrigued and as I listened to her, immediately human dignity resonated with me through her story. She has found a sport she loves, she has committed to it and she has attained great accomplishments by giving her everything. She has even taken it a step higher to find ways to nurture others into the sport through the club she is part of. In fact, within the conversation she invited me to join their club sessions over the weekend. In many ways probably unknown to her she is using her freedom for excellence. There are many things I could have chosen to write about but meeting Kuki and the short 15 minutes we spoke resonated with me so strongly to the extent that I sat down on a stone to compose my thoughts. I would like my writing to highlight her achievements in sports, I would like to present sports as a cultural engagement that could promote human dignity to encourage other young people to go for their dreams, to see their value and to use it for common good, to live beyond themselves. As we talk about ‘Good Governance and Human Flourishing’ in 2019 there are many ways we can be part of in making this happen for the Youth on the African continent: How can there be more support for sports that keep youth positively engaged? How can there be better connections to endorsements and financial support? How could every sport be made accessible to all youth without limitation based on where they come from or who they are? 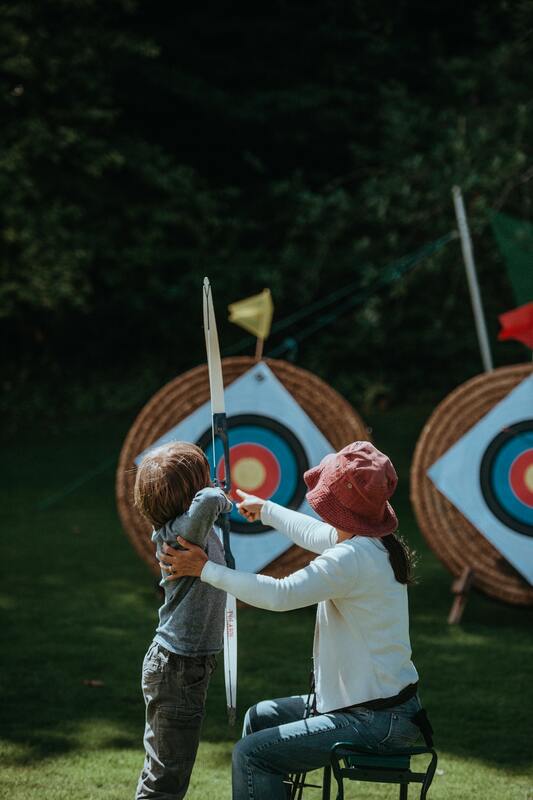 We are facing a rise in lifestyle diseases and as WYA looks at ways to keep Youth healthy and informed through programs such as FEMM, the question rises on how to get youth active and archery is a welcome avenue to explore.